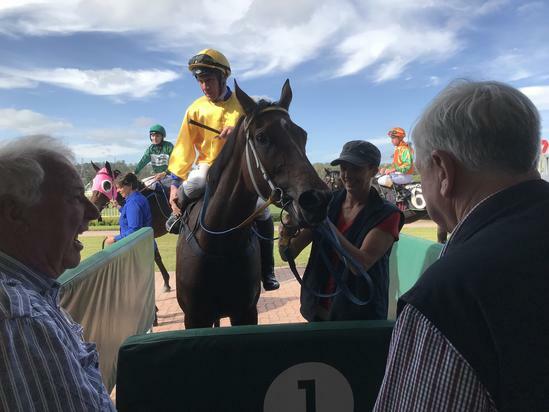 Felino Bel headed to Ipswich today looking to make it back to back wins after her recent impressive effort and handled the class rise of today with ease in taking out the Channel Seven Fillies and Mares Benchmark 70 Handicap over 1200 metres. The daughter of Bel Esprit settled well back in the field much like her previous win but unlike that win she was not able to come through the field but had to make a long sustained run around the field before gaining the upper hand late to score by a long neck. Like her previous winning effort Felino Bel was giving away age and race experience with the lightly raced Three year old filly now taking her record to Thirteen starts for Four wins and Two minor placing’s and by the way she has won her previous two starts her race record looks set to improve.